When you opt for Dr. Larish for your vasectomy reversal surgery in NYC, you can expect the best treatment and fast recovery. The doctor utilizes only the most advanced technology and will put his many years of expertise to work for you. We always put safety first, and you will find that the entire team is expertly trained and dedicated to optimal results. After your vasectomy reversal surgery in NY, you will likely find that you feel quite similar to the way you felt after your vasectomy. Directly after the procedure, you will want to rest at the hospital for a few hours. Make sure that you have scheduled someone to assist you on the drive home. Once they are home, most patients rest for 2-3 days. After taking pain medication for a few days, you may feel it is no longer necessary. Dr. Larish also recommends the constant use of icepacks. Complications after vasectomy reversal surgery are rare. 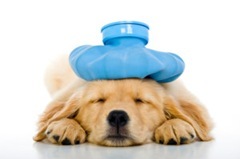 However, be sure to watch for signs of issues, such as a fever and/or painful incision. Dr. Larish will carefully go over all of his guidelines and recommendations for care and activities after your vasectomy reversal surgery. Generally, he tells patients to avoid heavy lifting for 4 -6 weeks. 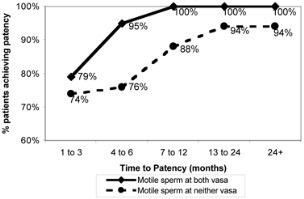 Just one year after surgery, 95% of men receive have mobile sperm return to their ejaculate. The doctor will discuss his success rates and what you can expect as far as the potential ability to achieve pregnancy. Various factors will impact your exact results, including the time since your vasectomy and your personal situation. Dr. Larish and his team are committed to providing the best treatment for all patients who select vasectomy reversal surgery in NYC. Don’t hesitate to contact our team to ask any questions and set up an initial consultation. 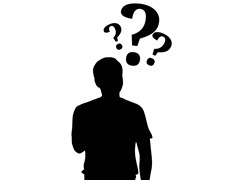 What can I expect after Vasectomy Reversal Surgery?